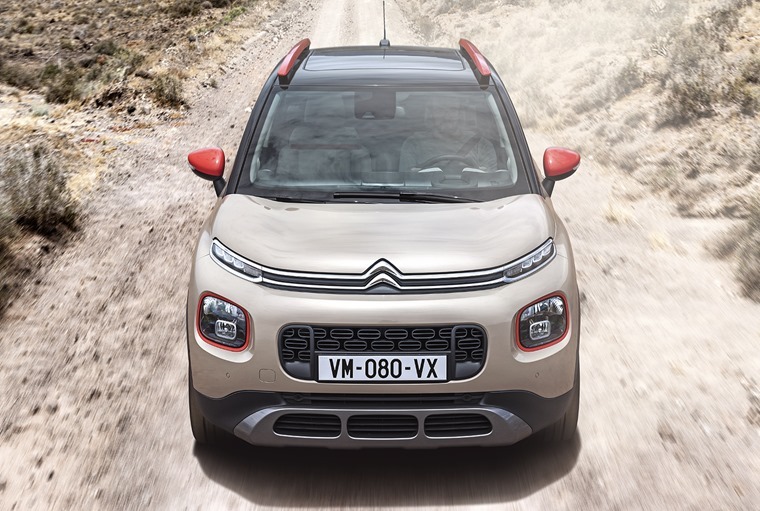 The C3 Aircross offers loads of space, decent performance, attractive running costs and just the right amount of off-road influence in the looks department. It more than earns its place among the top contenders in this class. 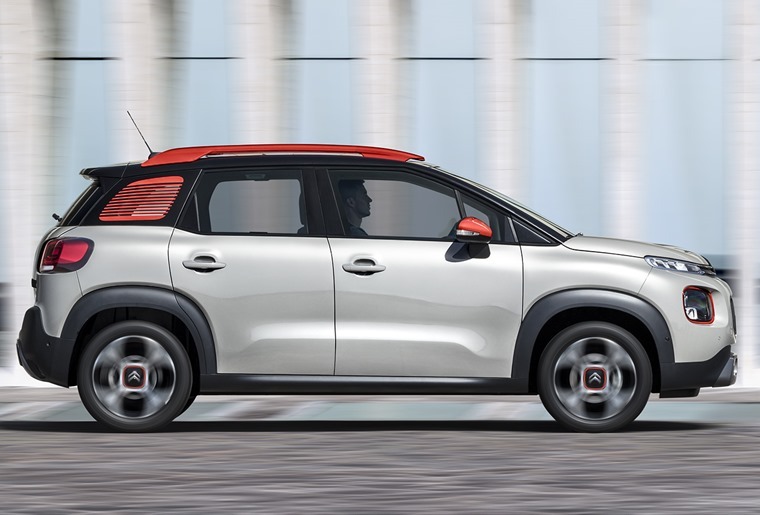 You could be forgiven for thinking Citroen was already a player in the small SUV sector, but its C3 Aircross is the first true entrant in this burgeoning class. While the C4 Cactus and C3 supermini have borrowed much of their style from the off-road world, it’s the Aircross that opens up the French firm’s account and it’s a fine contender for the likes of the Nissan Juke and Vauxhall Mokka. It’s a fine contender for the likes of the Nissan Juke and Vauxhall Mokka. Based on the same platform as the C3, the Aircross gains 20mm in ground clearance by raising up the suspension. This doesn’t endow it with serious dirt-defying ability, but it’s enough for rough tracks and the occasional foray beyond the car park. More importantly, it gives the Aircross that essential raised driving position that has made SUVs and crossovers the darlings of so many drivers. A large glass area gives it the feel of a larger car and makes it easy to place on the road and in a parking space. This is among the first fruits of the company’s Advanced Comfort technology and we like it. In lengthening the suspension travel, Citroen has lost none of the supple ride that impresses with the C3. If anything, the Aircross is even more accomplished when it comes to feathering its way across rutted surfaces. This is among the first fruits of the company’s Advanced Comfort technology and we like it: this is exactly how you imagine a small Citroen should cover ground in a controlled, cosseting manner. Don’t think the handling is all roly-poly, though. The Aircross does a decent job of holding its line through corners. There’s some body lean, but not enough to turn your passengers green and it’s no more marked than in a Mokka or Juke. Unlike the Vauxhall, there’s no option of all-wheel drive with the C3 Aircross, but some models feature Grip Control. This gives the front wheels more chance to find traction in slippery conditions, while Hill Descent Control keeps the car from running away as you head down slithery slopes. The Aircross does a decent job of holding its line through corners. With larger SUVs, many drivers will gravitate towards the diesel engine options. 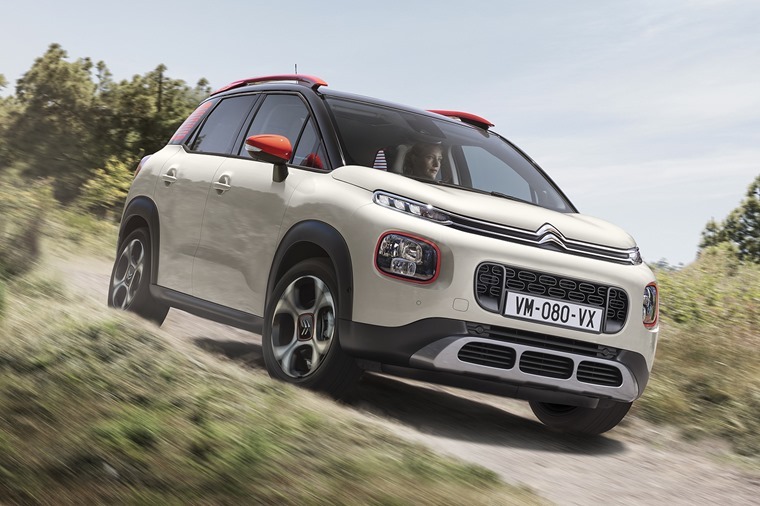 With this much smaller pseudo-off-roader, Citroen reckons only a quarter of buyers will choose this fuel. If they do, there’s a decision to be made between 100- and 120hp versions. We tried the more powerful unit and, while it’s happy to rev and decently quiet, there is some noticeable vibration. There’s also more weight in this engine, which is telling when you turn into a corner and can feel the front tyres having to bite more to maintain their adhesion on the road. It doesn’t affect the light and surprisingly accurate and direct steering, but it would guide us toward the petrol units. You never feel you’re in a small car, which is a neat trick in a scaled-down SUV. They come in three-cylinder 1.2-litre forms. The entry-point is the 81bhp unit that does without a turbocharger and, we suspect, will be rather sluggish. It’s only offered in the most basic Touch trim, too, so that’s another reason to look at the 110- and 130bhp turbo petrols. Of these two, the 110 PureTech unit will be the most popular and it’s easy to see why from our time behind the wheel. It’s quiet, smooth and gives the Aircross just enough of a turn of speed when needed for it to mix with fast-flowing traffic easily. You never feel you’re in a small car, which is a neat trick in a scaled-down SUV. We’d recommend going for the manual unless you really need the self-shifter. This pair are available in Feel and top level Flair versions and each comes with a 7.0-inch colour touchscreen in the centre of the dash for the infotainment. It’s as easy to use as any we’ve tried and another reason to skip the lowest trim. We tried the six-speed automatic gearbox, which works its way through the ratios easily, but we’d recommend going for the manual unless you really need the self-shifter. The manual has a slightly notchy lever action, but it’s no dealer breaker. Stick with the manual and you’ll be taxed on 115g/km of carbon dioxide emissions (but Vehicle Excise Duty is generally included in your monthly lease payment), while 56.5mpg combined economy is slap-bang in the centre of where its rivals are, so you don’t need to concern yourself on that front. The dash is clearly laid out and seat comfort is impressive. 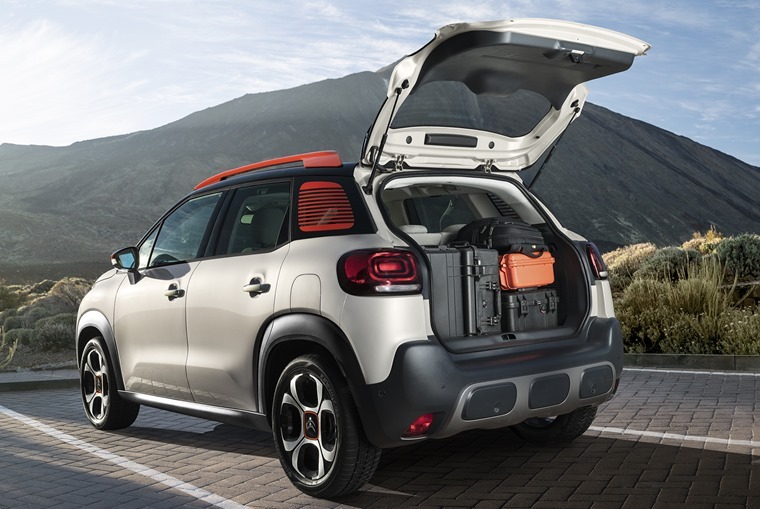 What might need more consideration is how much safety kit you add to the C3 Aircross. It comes as standard with a reasonable amount of life-protecting kit, but there are other systems from the total of 12 safety aids that you must pay extra for. 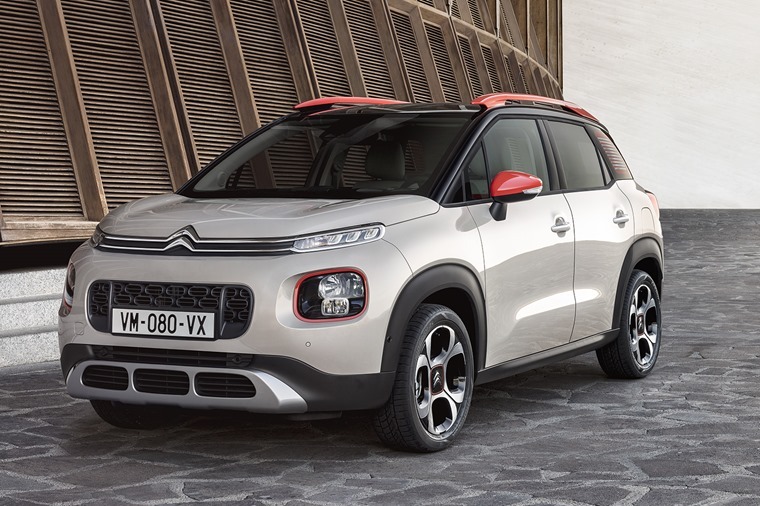 You’ll also have to decide how to specify the rest of the car as Citroen has fully embraced personalisation with the C3 Aircross. That means you have a wide choice of exterior colours, roof finishes and alloy wheels, as well as four interior trims. Luckily, none of this is there to cover up any shortcomings in the car’s fundamental ability. 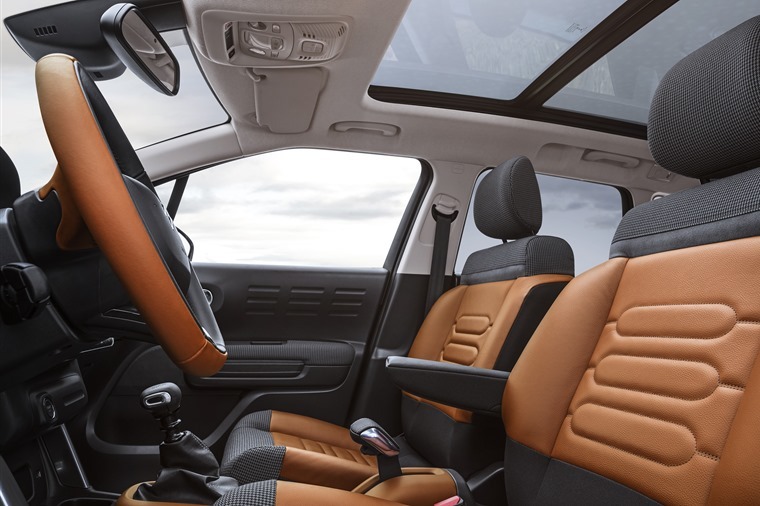 The cabin offers plenty of space for four adults, the dash is clearly laid out and seat comfort is impressive even if the cushions are quite flat and missing some side support. In the back, it’s a similar story, though kids still get a decent view out. The rear bench can be ordered with the ability to slide back and forth by 15cm, so you can expand the load volume from 410-litres to a maximum of 520-litres before having to fold the 60-40 split and tip rear bench. 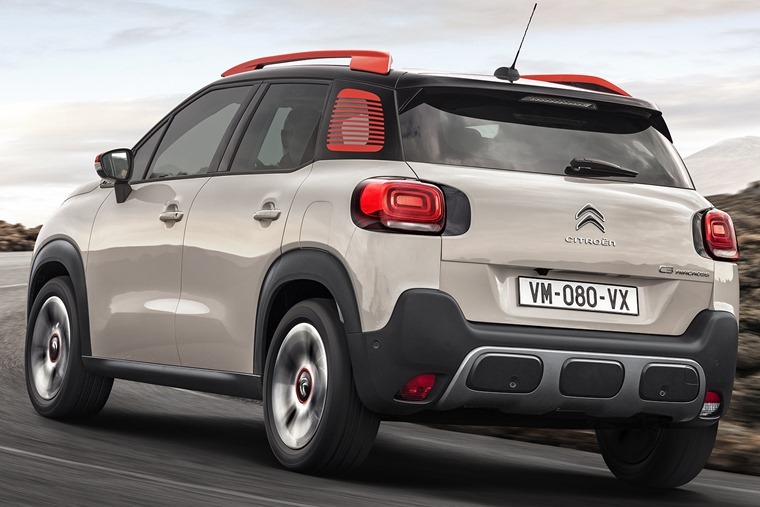 Citroen has clearly learned from its rivals and come up with a car that offers loads of space, decent performance and running costs, and delivers just the right amount of off-road influence in the looks department to help it stand out from the crowd. The last word in driving dynamics it is not, but it more than earns its place among the top contenders in this class.